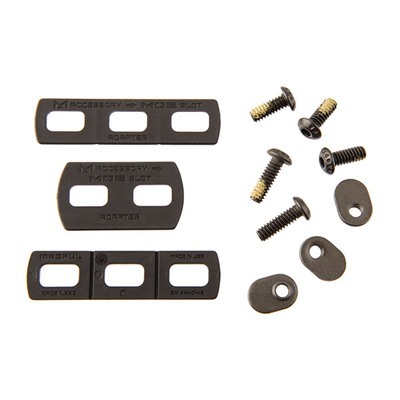 The Magpul MOE rails come in four lengths and bolt-on to the MOE stock at 10, 2 and 6 o’clock positions. They are MIL-STD 1913 Picatinny specification. Magpule MOE rails can be chosen to match the accessory, minimizing handguard space taken up. 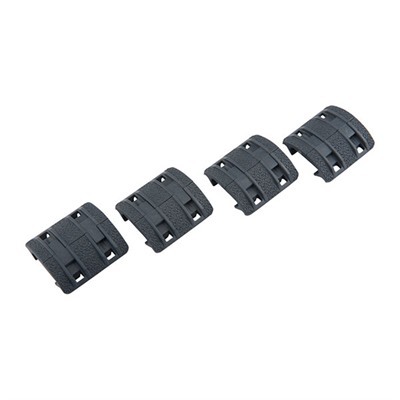 They clamp to slots in the handguard using the mounting hardware supplied. 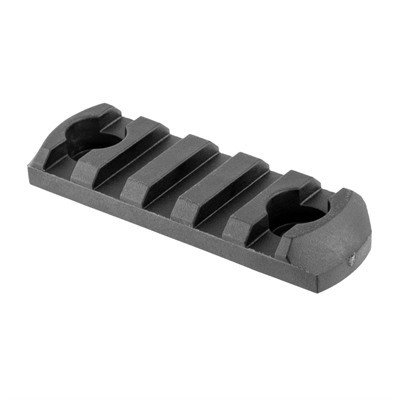 They also fit some other handguards with the correct c-to-c hole spacing and are designed to be compatible with the Bushmaster ACR handguard. L2 – 5 slots, 2½” (6.4cm) long, 1.2″ (3.1cm) c-to-c hole spacing. L3 – 7 slots, 3¼” (8.2cm) long, 1.6″ (4.1cm) c-to-c hole spacing. L4 – 9 slots, 4″ (10.2cm) long, 2.4″ (6.1cm) c-to-c hole spacing. L5 – 11 slots, 5″ (12.7cm) long, 3.2″ (8.2cm) c-to-c hole spacing. 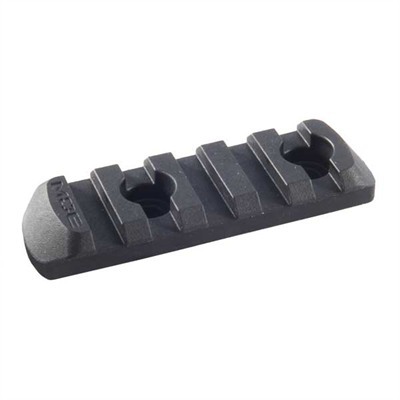 Check the price of Magpul MOE rails at Brownells, a name you can trust. You may find this video on the Samson Manufacturing flip-to-side mount of interest. Full disclosure: If you purchase Magpul MOE rails from Brownells I will be paid a small commission. This will help keep this site online and will not affect your purchase price. This entry was posted in Rails and tagged AR15, M16, M4, Magpul. Bookmark the permalink.